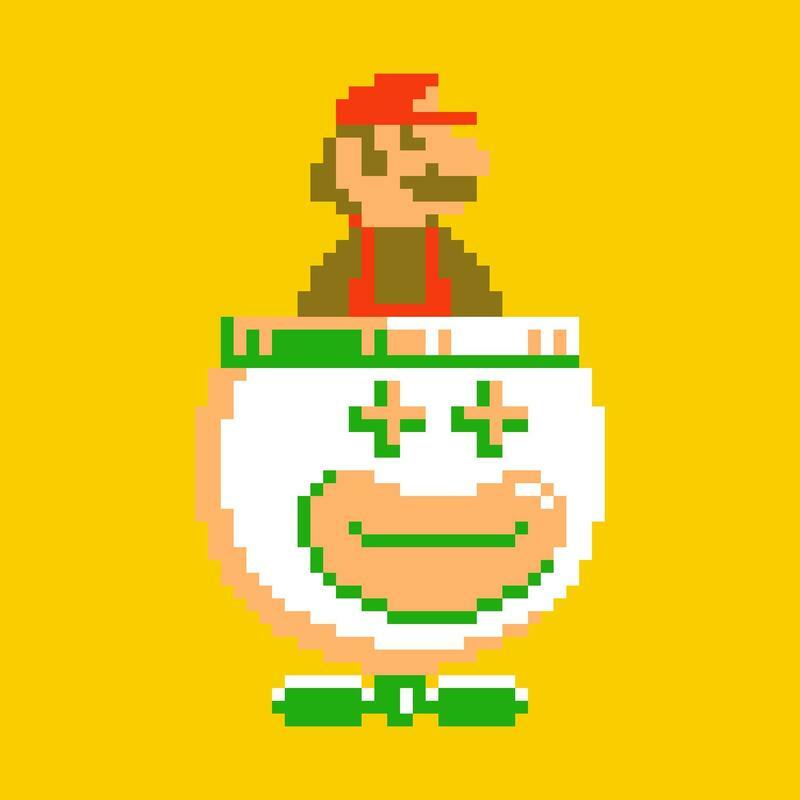 I didn't think I'd like Super Mario Maker this much. Straight up. I thought it was going to be a one and done experiment on the part of Nintendo, and I assumed I'd play it a bit, familiarize myself with the process of making, sharing and playing levels and then move on. 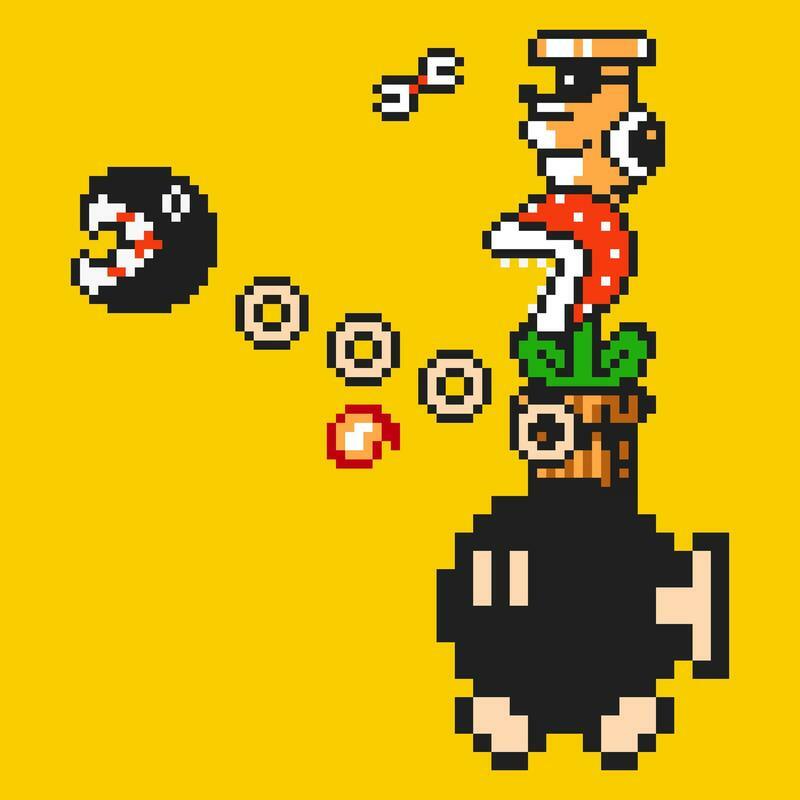 If Super Mario Maker catches on like it should, we're all going to be playing and, perhaps more importantly, watching people play this game for a very long time en masse. It takes a lot for something to become a phenomenon. A lot of the ingredients are essentially random. For video games, that's all release timing, install base, media reception, fan reception, presence on streams and social channels. Then there's the actual game itself. Does the game in question have what it takes to actually catch on in a huge, huge way. Yes. 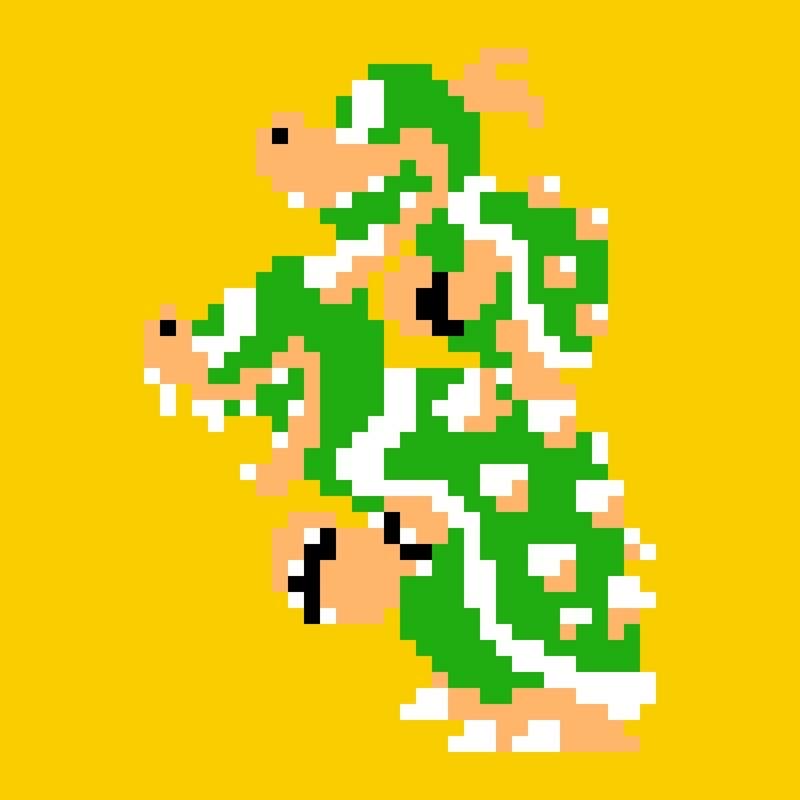 Super Mario Maker has that intangible quality, and it has it in spades. Will it explode once it launches? All of those random factors will dictate as much; but, Nintendo's done what it needs to do to push the cart halfway up the hill. 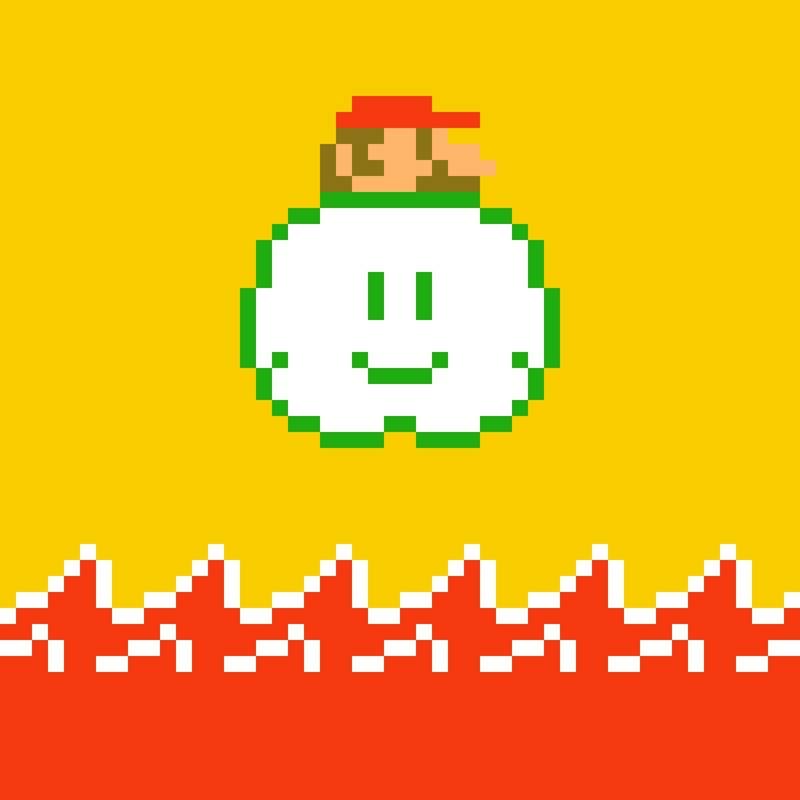 Super Mario Maker is fantastic, and it's a phenomenon in waiting. 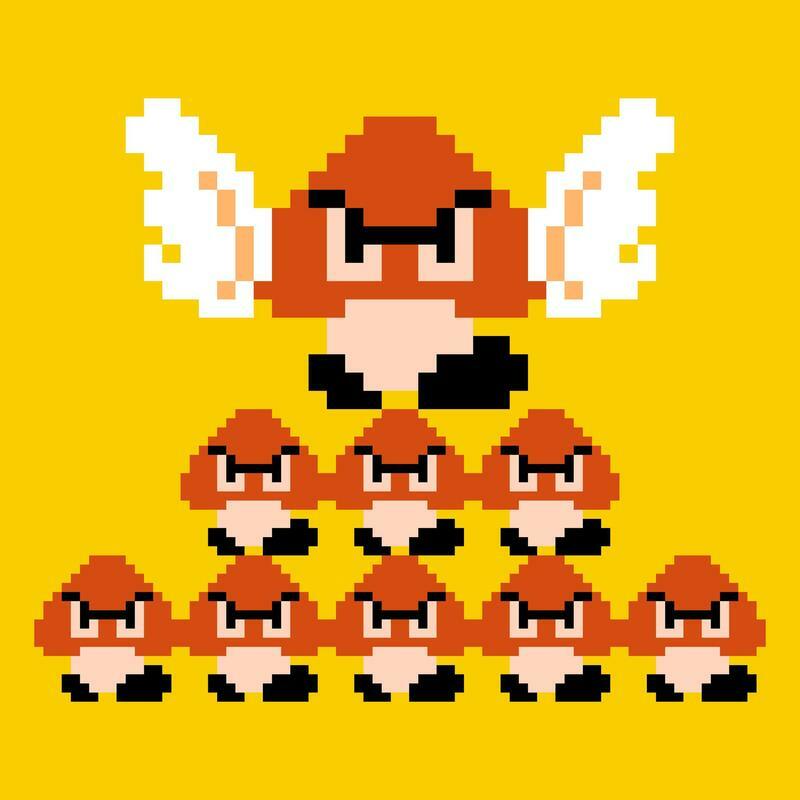 The first pillar of Super Mario Maker is, well, making. 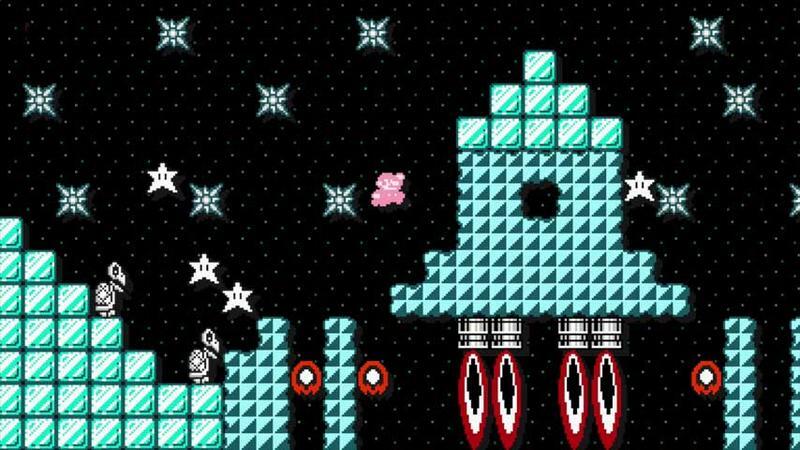 Over the course of nine days (more on this in a bit) of regular play, players will unlock a set of tools that will allow them to make Mario levels that span the styles of Super Mario Bros., Super Mario Bros. 3, Super Mario World and New Super Mario Bros.. The course maker is really straight forward. Players are given tons of sample courses during play, or you can start from scratch by dropping a rocket on the board and erasing everything. From there, it's as simple as selecting a tool, touching the GamePad with the stylus and building the course. If you want to upload it, you have to be able to clear it. 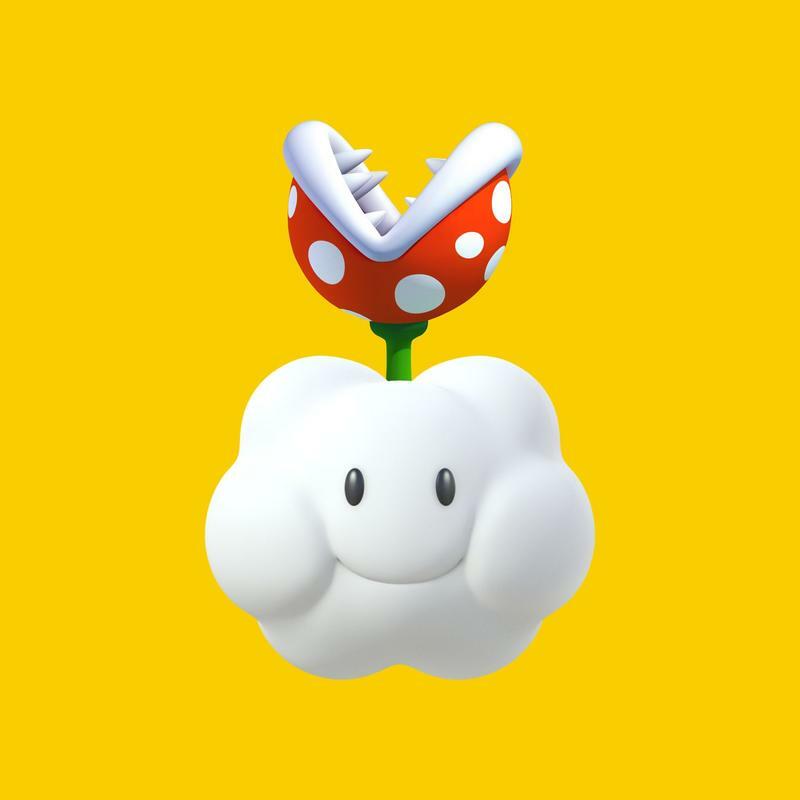 You can go ahead and make that absolutely bonkers hard level, but just be sure that you can beat it if you ever want to share it with the world. The tools you get won't necessarily cover every single in-game device and mechanic. For instance, the little triangle thing that let players sprint up walls in Super Mario World? That's not here. So, don't expect an exact one-to-one representation of each game. Do expect, however, to be able to do some absolutely ridiculous things with the tools you are given. 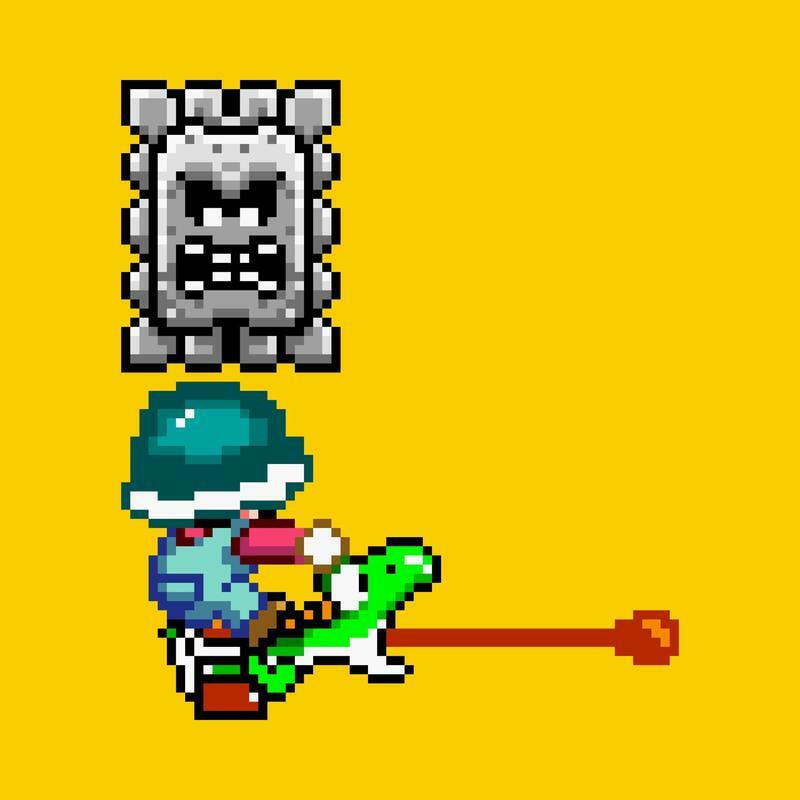 Give a mushroom to a Thwomp Block to make it bigger. 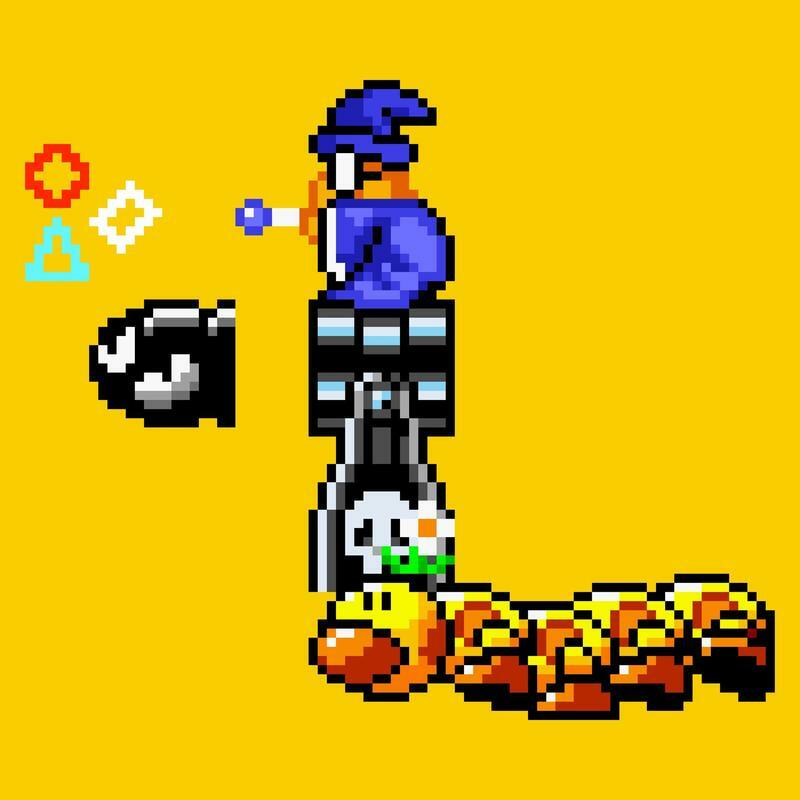 Shake a Buzzy Beetle and turn it into just a shell that Mario can wear on his head if you position him under a pipe that shoots them out. Yep, those are words I just used. Really, the depth of creation is up to you. Personally, I like making levels that are fun to play. I want challenging sections, sure, but I don't want players to never finish. Instead, I favor making quick jaunts with fun platforming sections and interesting enemy layouts. 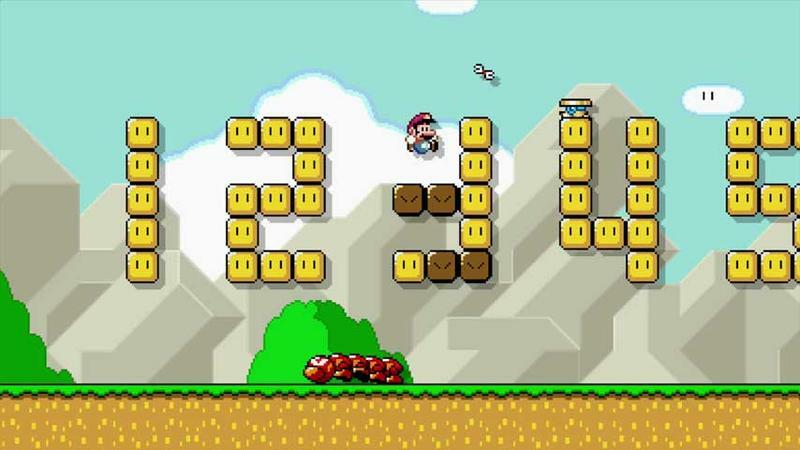 Or, hey, you can be one of the many to make an automatic Mario level. You can even Rick Roll players, if you so desire. As for the nine day unlock process? It takes nine days of using the creation tools for more than five minutes on each day in order to unlock the full building set. You aren't going to be able to do everything out of the box. Nintendo did this because, and I'm paraphrasing here, they want players to be familiar with the tools they're given before earning even more tools. That makes sense, to an extent. I just know that by day four or five, I wanted more tools at my disposal. I played the game for several hours during the first day. I would rather have seen the tools unlock after days of play or consecutive hours, whichever came first. If I play for four hours in one day with a set of tools, give me the next. I'm ready for them, clearly. You can cheat this, if you want. Just set your Wii U's date a day forward, play for five minutes (the game will alert you when you've reached that mark), quit the game and set the date forward again. Repeat. When you're all done, set the date back to the current day and your system will keep the unlocks. I know this because I was downright frustrated with waiting by day seven. 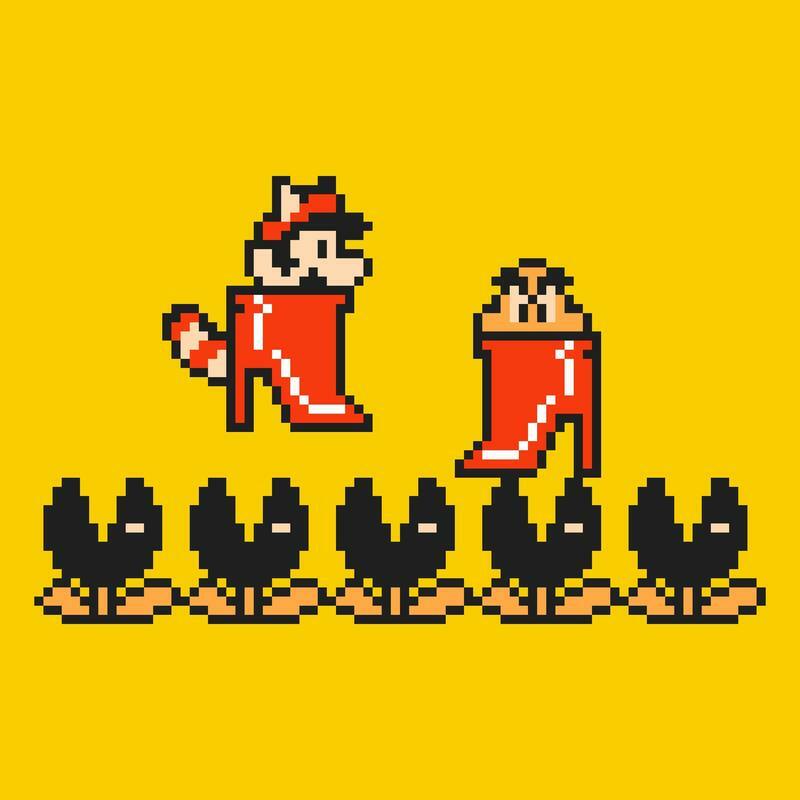 Nintendo had the right idea here, but the execution and timing wasn't so hot. Then there's the actual playing itself. You know, when you don't want to make levels and you just want to either play what Nintendo made in advance or what the community is working on. When it's time to play, you have a few choices. 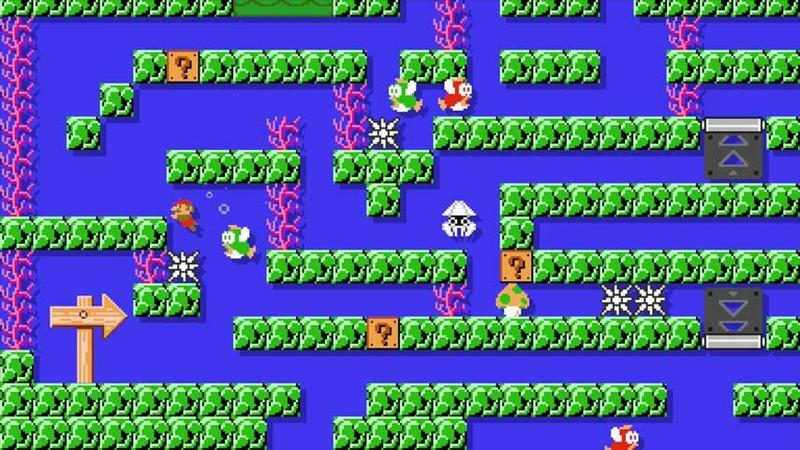 You can immediately hop into 10 Mario Challenge and play the crazy levels Nintendo built. You have 10 lives to beat them all, but don't expect to be challenged too hard. 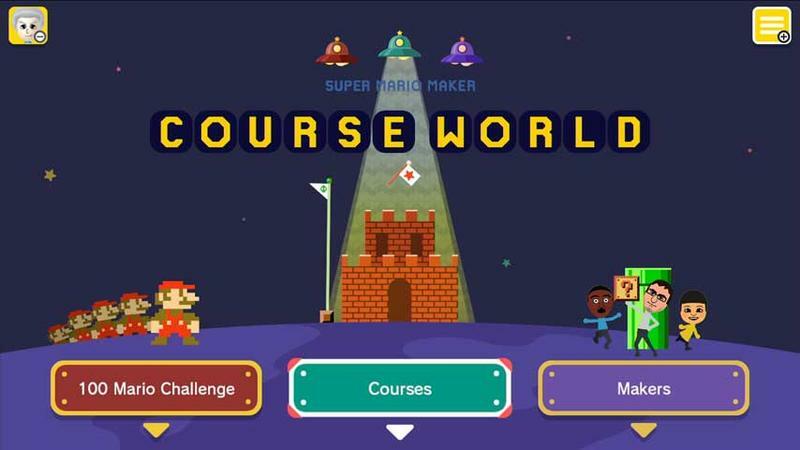 If you hop into the Course World, you'll go online and play levels other creators have played. 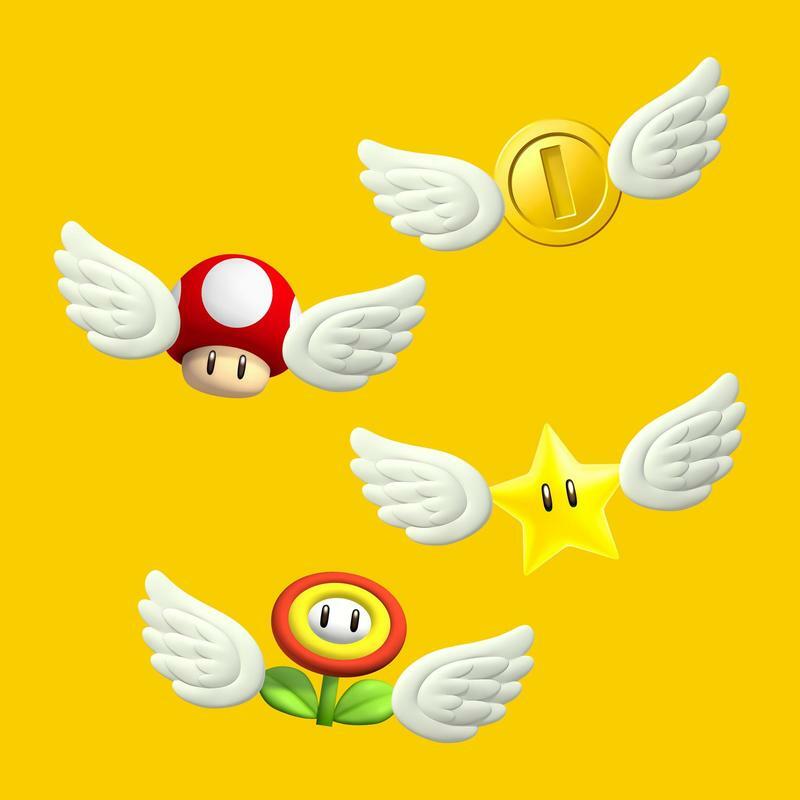 Here, you also have access to 100 Mario Challenge spread over three difficulties (you have to unlock the third). 100 Mario Challenge was my bread and butter for play. I kept things set to normal because I feared the health of my GamePad whenever I played expert. 100 lives can be spent on normal if you hit a tough smattering of levels, but they're randomly assembled based on what the community has made. 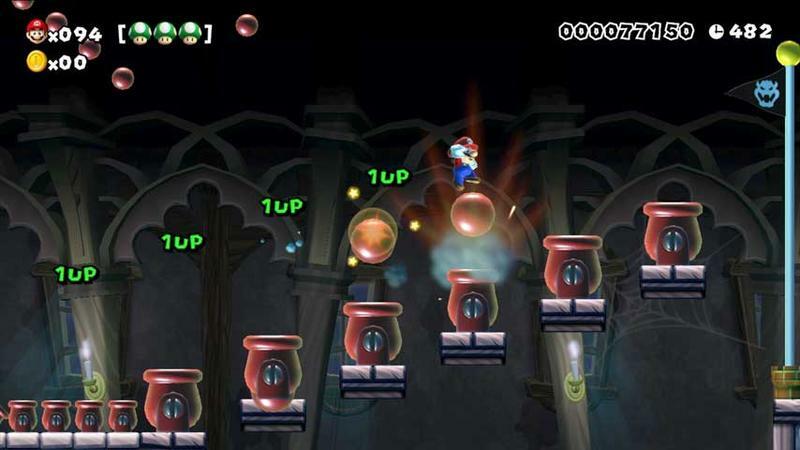 My only gripe with the community right now is that levels really only exist in three forms. 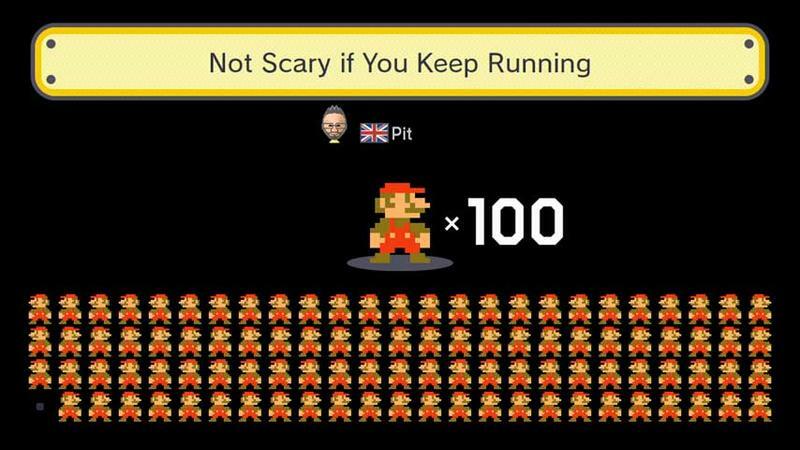 You have the bulk of absolutely, insanely hard levels that make up the majority. 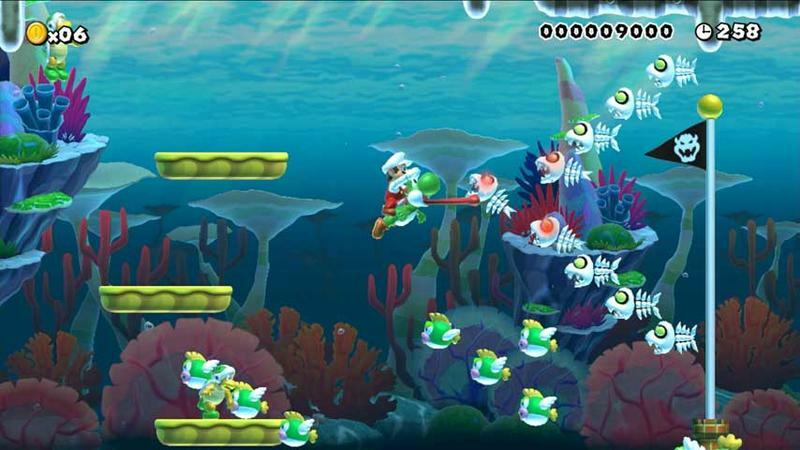 It's not difficult to make a level that will frustrate players, believe me. Thus, this is the most of what I saw during the review period. I welcome the hard levels, for sure, I just wish they were more the exception than the norm. Then there are levels that play themselves. The automatic levels are fun, and the really good ones are a minority in the game. They're a great change of pace during, say, 100 Mario Challenge. Finally, you have the latter portion of levels. They're way, way too easy. 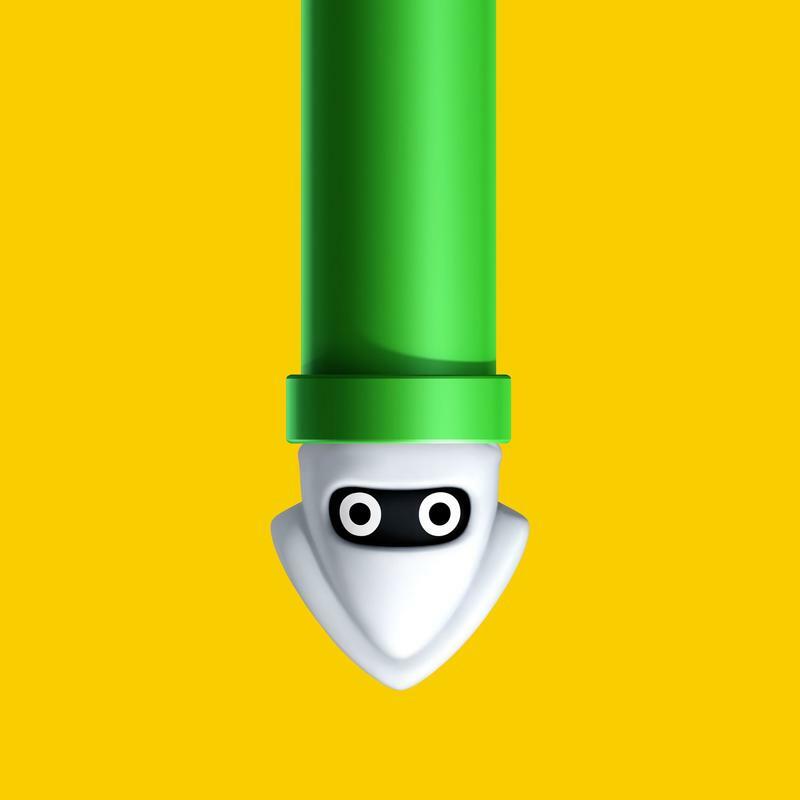 There are levels that players uploaded that are literally nothing but running foward and jumping once to grab the flag pole. This isn't Nintendo's fault! Sure, there could be a bit more in the way of good design instruction, but the company isn't to blame for all the Flappy Bird style Mario levels I played. I played like six of them just during random play, folks, and that's annoying. My advice to you, dear reader and potential future creator, be different. 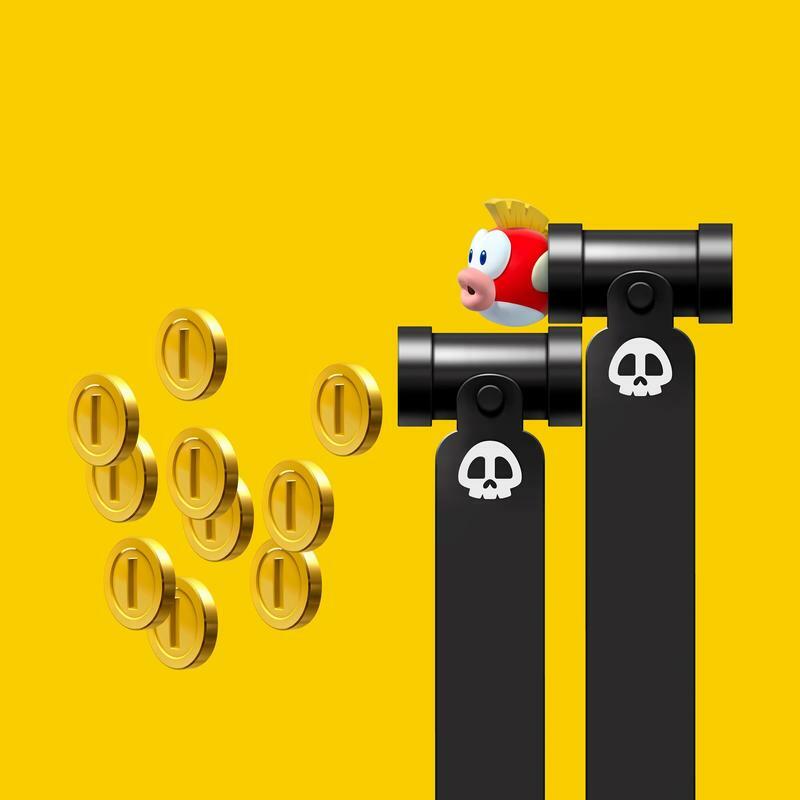 Don't just make insane hard levels or freebies. Try to make something that's fun, challenging and diverse. Those were the best levels I played from the community, and they're a rarity. 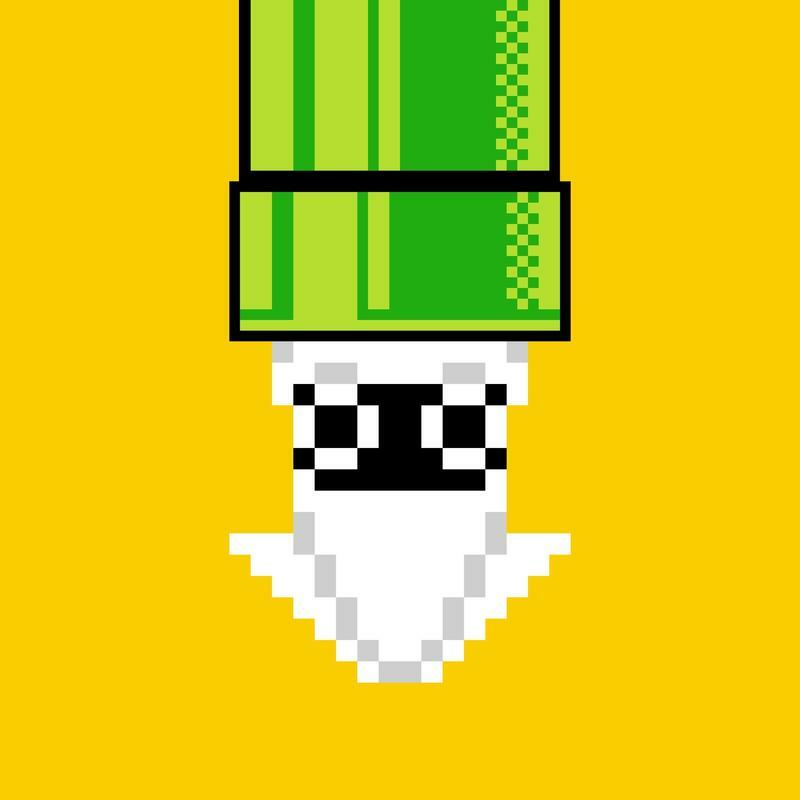 Super Mario Maker is an absolute dream to watch in motion. Seeing players make levels, take on your own creations or hop into a smattering of random levels and react in real time is one of the most social things I've genuinely enjoyed in the gaming sphere in a really long time. Nintendo's missing a crucial feature here that I think would help the title immensely, but the core experience of watching others play this game is wonderful. I don't know if Nintendo did this on purpose. The company seems to be so tone-deaf when it comes to the modern world of streaming and watching video games. Heck, Nintendo of America's Reggie Fils-Aime once said that "we don't think streaming 30 minutes of gameplay by itself is a lot of fun." He's wrong, of course. I even managed to pull in a ton of viewers when I streamed Super Mario Maker these last few weeks. 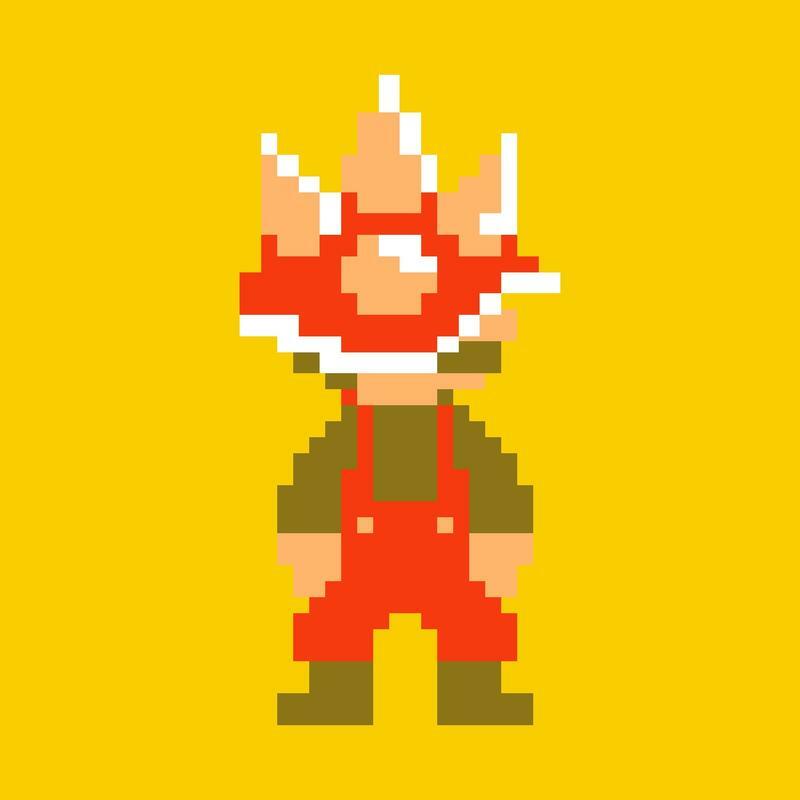 Super Mario Maker has no built in streaming capabilities. The Wii U doesn't support Twitch streaming in any real capacity, unlike the other consoles. It's up to users to buy the hardware, use the software and actually stream on their own. The game doesn't even offer the ability to capture replays and upload them directly to YouTube, unlike Mario Kart 8. The game is perfect for watching, and Nintendo is missing an opportunity by not embracing the streaming community entirely with this one. As much as I love this game and Nintendo for making it, these were mistakes. Plain and simple. 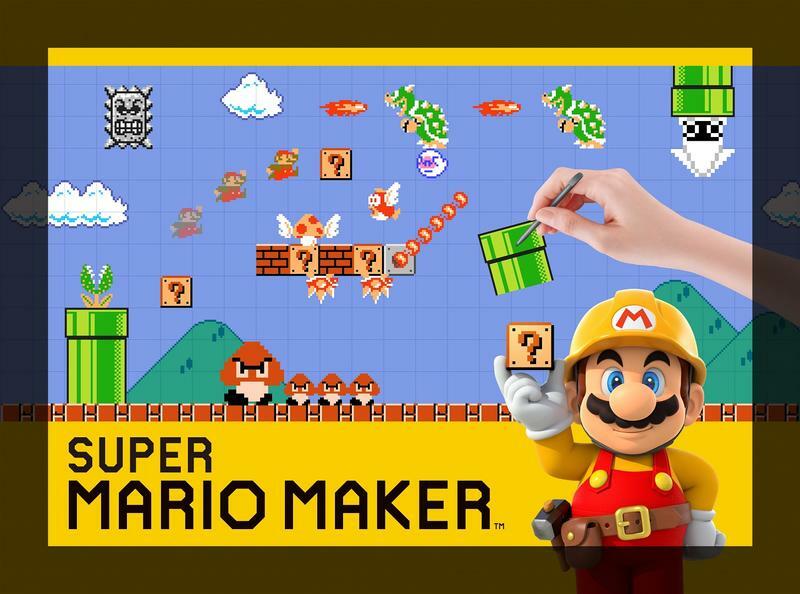 Super Mario Maker is a friendly course creator with a wonderful potential for fun, and it's one of the best games on the Wii U. 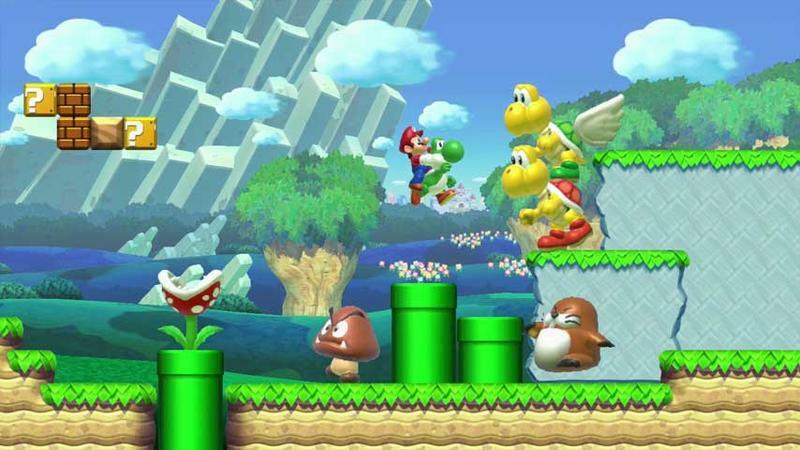 The foundation for a massive success in the gaming world has been set down by Nintendo. The package isn't exactly complete, and I'd like to see Nintendo add items through free updates and consider some sort of replay uploading service. But, what's here is outstanding. 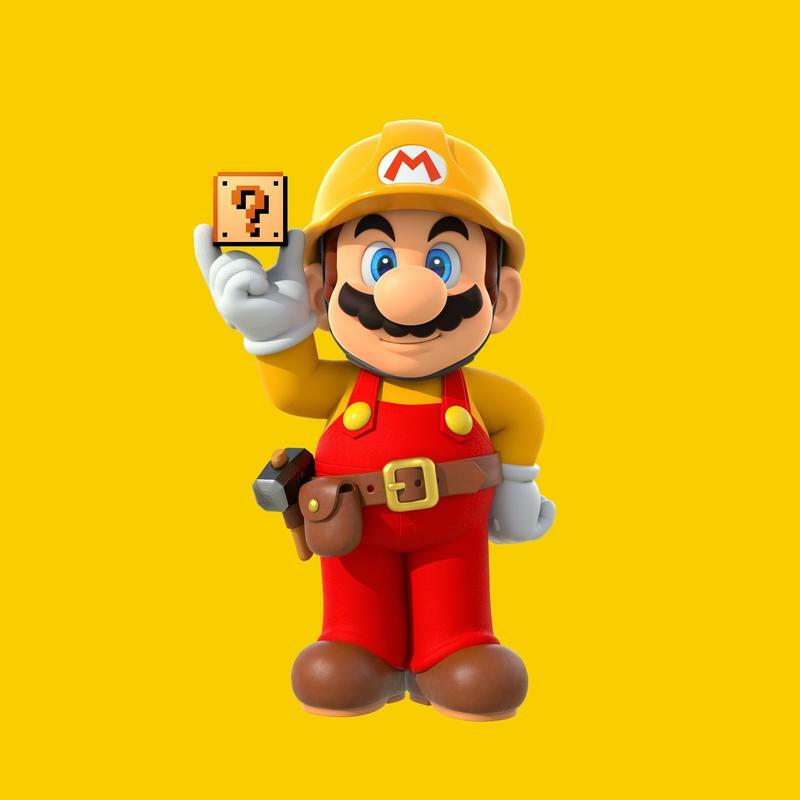 I don't want to weigh my opinion of Super Mario Maker down too much by Nintendo's current stance regarding social play. The game that they've made here is absolutely brilliant, and I'd argue that it's one of the most revolutionary things done in gaming during this console generation so far. 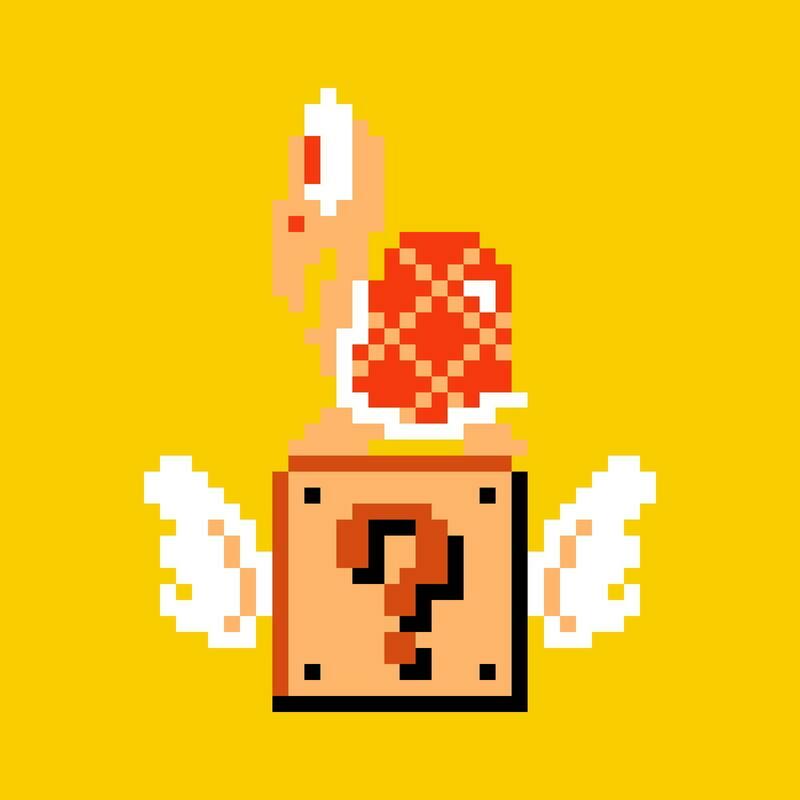 The creation tool is simple, the levels the community is making are fun and the core Mario experience spread over the best 2D games in the series is a blast. If you buy this game, you'll get your money's worth. 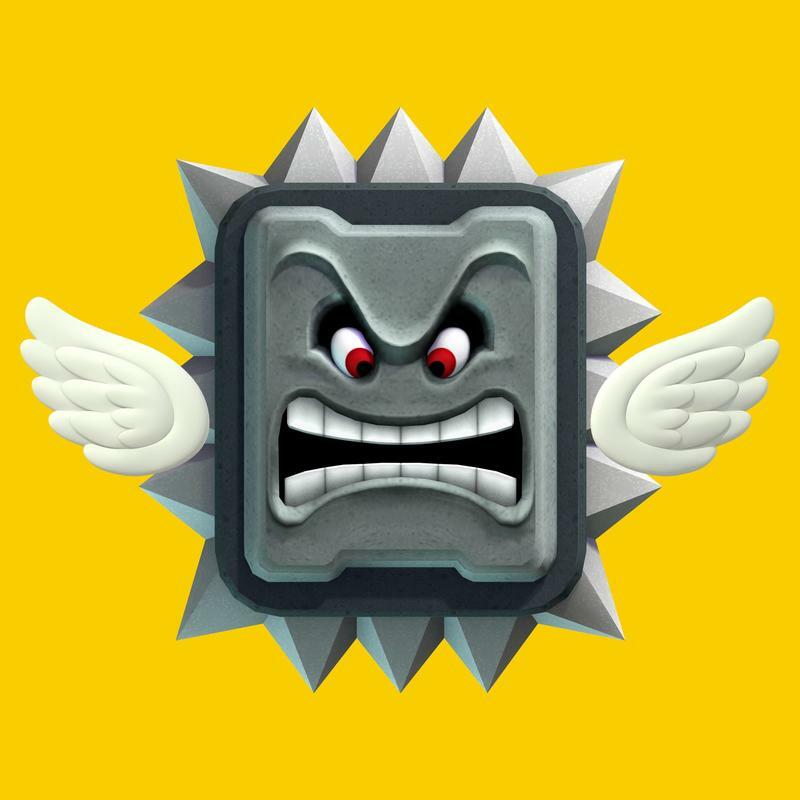 If it takes off like it has the potential to, Super Mario Maker will be be on everyone's lips for a good long while. 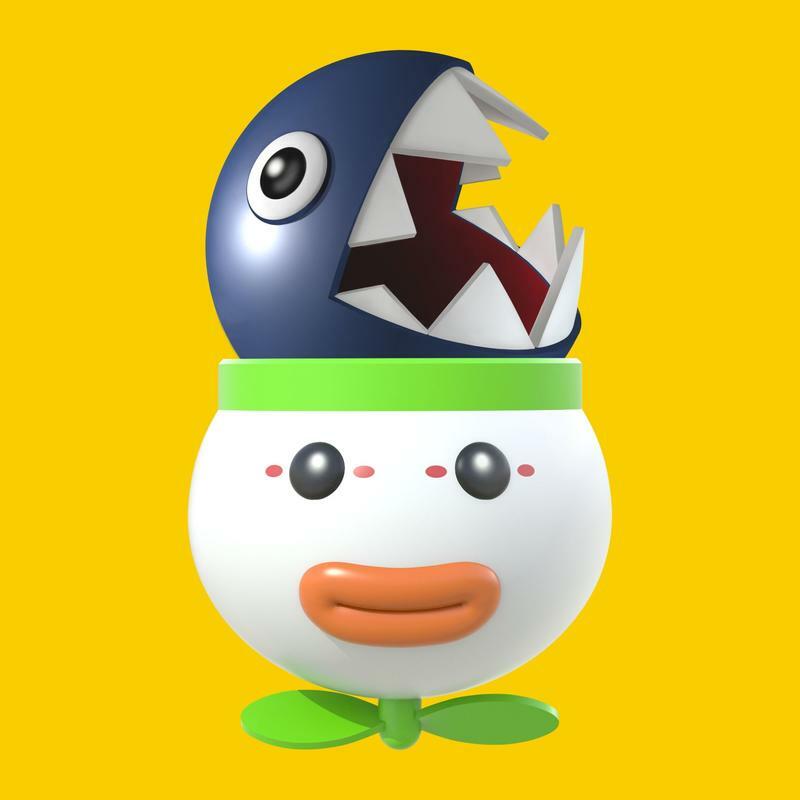 Discalimer: We received a code to download and review a media copy of Super Mario Maker for the Wii U from Nintendo. The review copies are tied to a review server and, thus, the levels made in this process won't be transferred to the retail release.